Penwortham Priory Academy is no ordinary school, in 2014 thirteen year old student Jamie Edwards became the youngest person in the world to create nuclear fusion in the school’s science labs. With labs dating from the 1950s, Penwortham wanted to enhance science learning by transforming their existing laboratories into cutting edge learning spaces. 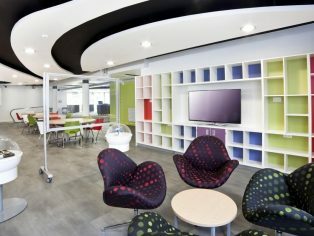 Working closely with Cassidy + Ashton Architects and contractors F Parkinson, education interior specialists Innova Design Solutions created an open plan learning environment to facilitate collaborative teaching styles and fire students’ enthusiasm for STEM subjects. A central research and collaboration area with flexible tables supports group working and independent study alike, while mobile glass screens which double as writing boards allow the space to be reconfigured as needs change. An ICT area with sawtooth desking provides space for online research. 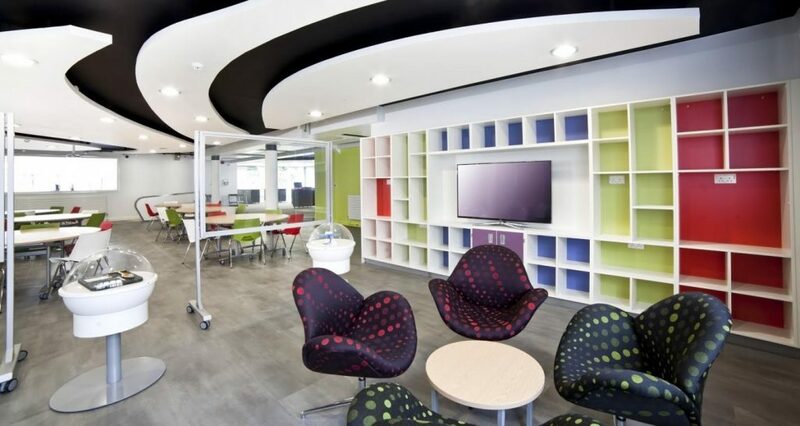 Colourful, funky furniture and display units add a wow factor to this truly inspiring space. Adjoining the research area, a wet lab designed using Innova’s unique Hot Corners concept offers theory and practical study within the same space. In the dry lab movable pod units allow desks to be reconfigured, offering maximum teaching flexibility. Durable Trespa Toplab work surfaces are fitted throughout to ensure the labs remain resistant to damage from chemical spills. A large open plan prep room with central preparation desk and perimeter storage units provides the perfect space for technicians to prepare for lessons. Even Penwortham’s pets have a new home: perforated perspex cabinets were installed to house cages and tanks, giving the pets a fantastic new home in this ultra modern science space. For more information please visit www.innova-solutions.co.uk or call 0161 477 5300.